Google abuses its dominance in the U.S. search market by burying competitors deep in Google's search engine rankings in categories such as local information, travel, shopping in favor of the company's own products. That's the gist of what several companies are expected to say Wednesday afternoon during a senate hearing examining whether Google behaves in an anti-competitive manner. Representatives from Yelp, Expedia, and shopping site Nextag will give testimony Wednesday afternoon to the Senate Subcommittee on Antitrust, Competition Policy and Consumer Rights. The panel is part of a larger proceeding that also includes Google Executive Chairman Eric Schmidt entitled, "The Power of Google: Serving Consumers or Threatening Competition?" The three companies join a long list of businesses in the United States and Europe complaining of Google's purported abuses thanks to its dominance in search. Google accounts for nearly 65 percent of all U.S. searches, according to recent numbers from metrics firm comScore. So what's in store for Wednesday's hearing? Here's a preview of comments from Yelp and Expedia's external counsel Tom Barnett. Yelp CEO Jeremy Stoppelman has already published his testimony ahead of the hearing, which starts at 2 p.m. Eastern Wednesday, on the company's official blog. 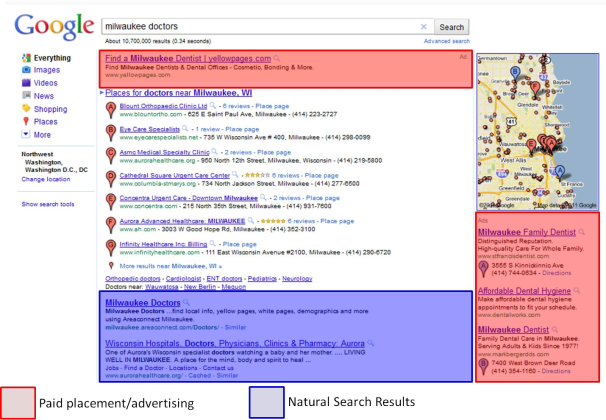 Google in 2010, according to Stoppelman, started displaying Yelp reviews without permission as part of the search giant's local business information product, Google Local (also known as Place Pages). Similar to Yelp, Google's local product displays pertinent information such as a business' location, phone number, hours of operation and a series of user-generated reviews. Currently, Google displays reviews submitted by its own users, but the search giant used to pull in and display reviews from sites such as Yelp, according to Stoppelman. This did not sit well with Yelp, especially since Google had at one time licensed the right to use Yelp's user-generated reviews. But when the company asked Google to stop displaying Yelp reviews in its place pages, Google responded with what Stoppelman describes as a "false choice." anywhere in Google web search results," Stoppelman said in his written statement. An example of Google's search results included in Barnett's written statement. Barnett, meanwhile, intends to argue that since Google offers services similar to sites such as Expedia, Yelp and others, the search giant "has an incentive to steer users to its own web pages and away from competing websites to enable it [Google] to increase its revenues," according to Barnett's written testimony submitted ahead of today's hearing. But Google doesn't just increase its revenues when it favors its own search results, according to Barnett. The company also "reinforces its search dominance" by making it harder for competitors to be found on Google. Regular search results, Barnett argues, are pushed down the critical first page of results in favor of Google's own products and its first few paid advertising links. This forces competitors to buy advertising on these pages, which increases Google's profits and its competitors costs. Google isn't the only search engine to do favor its results. The company's main competitor, Microsoft's Bing, does something similar for searches related to maps, weather, finance and travel. Expedia is a member of FairSearch, a coalition of businesses accusing Google of monopoly abuse. The coalition includes TripAdvisor, Travelocity, Kayak, Hotwire, Expedia, Microsoft and others. 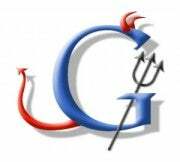 Is Google An Evil Monopolist? If Barnett and Stoppelman's comments are an accurate reflection of Google's businesses this could be concerning for the average Google user. Most Google fans may not be worried about seeing Google products such as Place Pages, maps and flight information first. But if the end result is that Google deliberately squeezes out smaller companies trying to compete with Google, then we all lose since innovative new services may find it harder to survive when pitted against the world's largest search provider. You can view today's proceedings via Senate.gov.